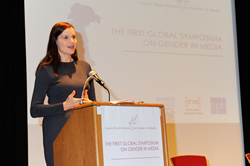 The Independent Television Service (ITVS), the Geena Davis Institute on Gender in Media, and the Global Partnerships forum hosted the First Global Symposium on Gender in Media. 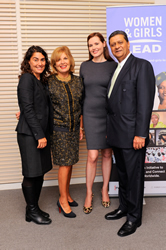 xNearly 200 distinguished guests attended the event to hear opening remarks from Academy Award® winning actor Geena Davis; Patricia Harrison, president & CEO of CPB; Amir Dossal, CEO of Global Partnerships Forum; and Madeline Di Nonno, CEO of the Institute. 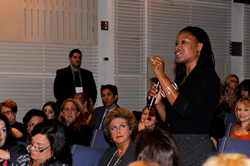 “Two objectives drove us to convene this symposium. 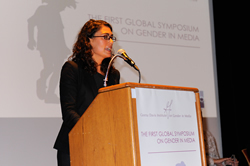 One, to officially launch a Global Gender in Media Advisory Council and the second was to identify partners to co-fund a global study that will examine gender prevalence and how our children perceive portrayals of women and girls in children’s entertainment. 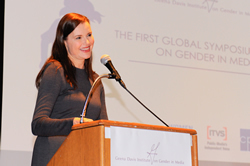 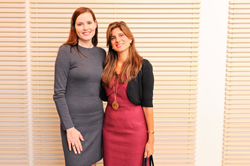 I believe in research as a tool to change minds, facts dispel myths and misconceptions,” said Geena Davis. 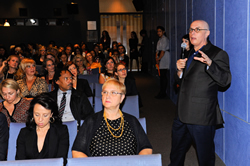 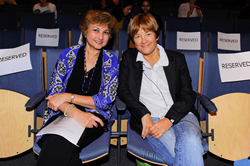 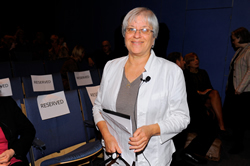 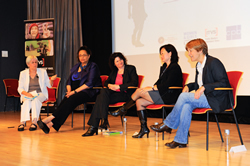 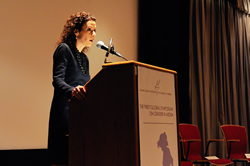 The event included a Global Television and a Global Filmmaker panel, both of which focused on the challenges and opportunities for dramatically changing the cultural landscape for media images of girls and women in television and film. 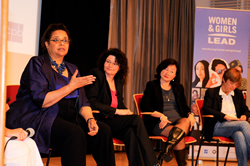 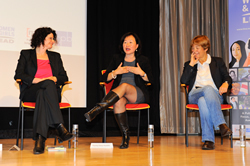 The Global Television panel was moderated by Dr. Dafna Lemish, professor of radio and TV, Southern Illinois University, and included presenters Karen Barnes, senior vice president of programming & development, HIT; Dr. Maya Goetz, head of IZI, Bavarian Broadcasting Corporation; Myung Kang-Huneke, chief of staff & general counsel, Sesame Workshop; and Diana Manson, executive vice president of creative & content development, Chorion. 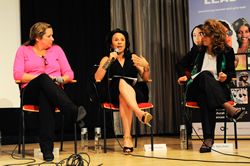 The Global Filmmaker panel was moderated by Orlando Bagwell of the FORD Foundation and included presenters Maro Chermayeff, executive producer, Half the Sky; Ramona Diaz, filmmaker, The Learning; Abigail Disney, filmmaker, Women, War & Peace; and Dr. Stacy Smith, associate professor, USC School of Communications & Journalism. 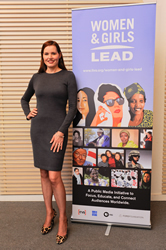 "Women and girls are stepping forward as equals and leaders around the world, in places and ways that once seemed unattainable. 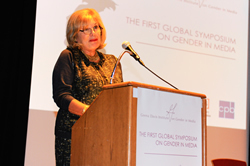 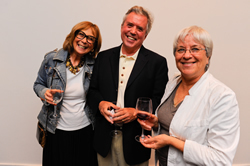 It’s time for media to tell those stories, and the extraordinary women and men gathered for this symposium are on the front lines of making it happen," said Patricia Harrison, president & CEO of CPB. 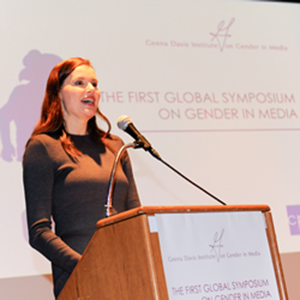 The role of media in impacting positive social change in gender stereotypes and female representation was one of the central issues addressed by panelists and audience members from Hollywood, commercial and public media, NGOs, and policy groups. 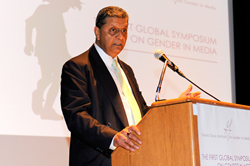 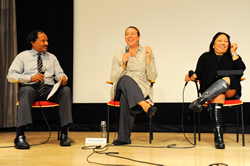 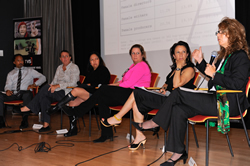 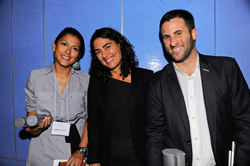 The Institute is known for its Gender in Media Symposium. 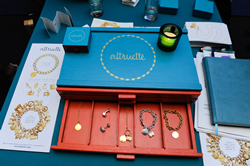 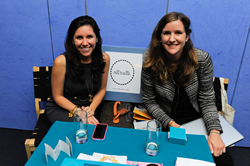 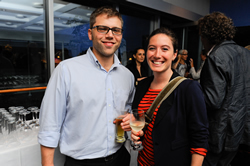 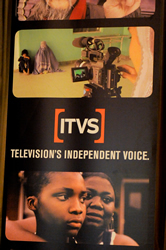 However, this Friday’s event was the first Global symposium of its kind and comes on the heels of the newly minted Women and Girls Lead campaign from ITVS. 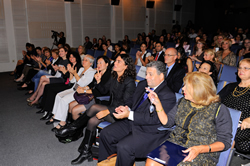 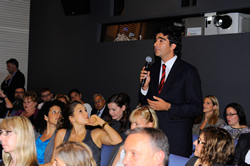 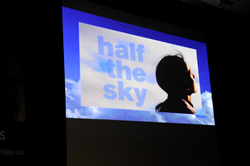 The multiyear initiative is designed to focus, educate, and connect audiences worldwide on issues of women’s empowerment through film.